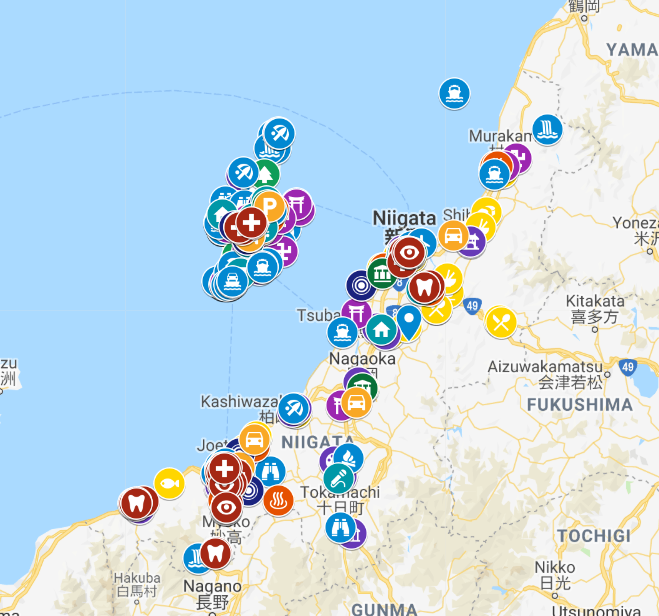 Explore Niigata by using our interactive google map! 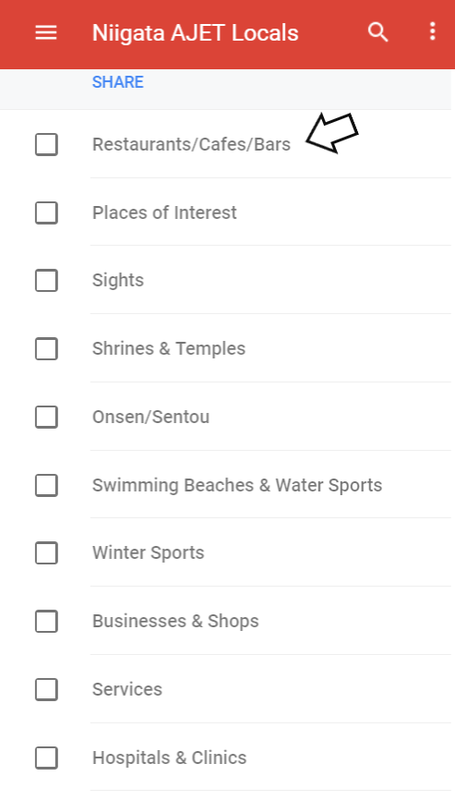 From specific types of Medical facilities, to restaurants, attraction and Onsens. Simply click on the map and search either using the icon list on the left side or the search bar at the top. It’s updated frequently by the Niigata AJET council. If you find anything else please let us know!! Leave a comment below and we will add it to the map. Two Gyukaku restuarants in Joetsu, one in Takada one by the 8. Nice atmosphere, best meat, sometimes in the raffle you can win some candy or charcoal. Cool kids hangout- Yakiniku King. New Yakiniku resturant, has tablet ordering system which is handy. All the young kids come here. The cheapest of the yakiniku, help yourself drink bar (hot strawberry milk), constant Beatles playlist. Has a pretty good loyalty card system. If you go to Kasugayama Castle Ruins. At 見晴らし屋 (might have to check I have the right one) you can order the Kenshin-Special; Traditional Joestu food, around 12 small dishes, served on two big trays. Like its too big for you to take your instagram photos. Men Gurui: Delicious ramen shop with tons of delicious chicken-based broth soup. Super delicious. Recommend by my students as well. A bit more about Omihideya: Delicious kushikatsu with of the best items I’ve eaten in Japan. Meat-wrapped green pepper skewers filled with cheese. You can also find Denki-buran here. A type of old-fashioned Japanese brandy, which was the first foreign-born alcohol made and sold in Japan. Also milk a goat and eat goat’s milk ice cream at　https://goo.gl/maps/xpcgUNXZaun　ファーミーランド, Uragawara. The owner of Gotham Burger, Nagaoka https://goo.gl/maps/15q68d8EdCR2 is a cyclist when he’s not serving burgers. So that earns him bonus points. The speciality is THE Gotham Burger, a patty with numerous toppings served in a black bun. A good selection of tasty burgers here.